Why don't we listen to Bob Barker? He's an American Treasure. His instructions are simple: "Help control the pet population — have your pets spayed or neutered." Yet here we are, all these years later, with an epidemic still on our hands. More animals than homes for them. The landscape of Southwest Missouri is comforting. Rolling hills, and the small mountains of the Ozarks envelope the landscape like a crumpled blanket. Tucked a few miles north of the Arkansas border, and surrounded by forest and farmland, eleven acres are dedicated to addressing what Mr. Barker warned us about. Haven of the Ozarks is a no-kill animal sanctuary for both future and past pets needing a home. A labor of love run by a caring group of volunteers and staff, they house as many as 200 animals at a time. We pulled in late on a Monday afternoon, knowing we were in the right place, but unsure of where to go. Carolyn, with eyes that smile as much as her mouth, waved us over and introduced herself. As the Director of Operations, she lives on site, an immersive demand of the job. She gave us a tour of the facility and some background history on the sanctuary. She was understandably proud of what they do, and appreciative of the help they get, but there was also a touch of melancholy in her voice, brought on, I imagine, by the endlessness of her task. Perhaps sensing the same in us, as we saw so many beautiful, adorable, and excited animals begging for attention, and hoping for a forever home, she offered, "these animals need help and you see the best of the best in people, and the worst of the worst. It’s the best of the best that keeps us going." 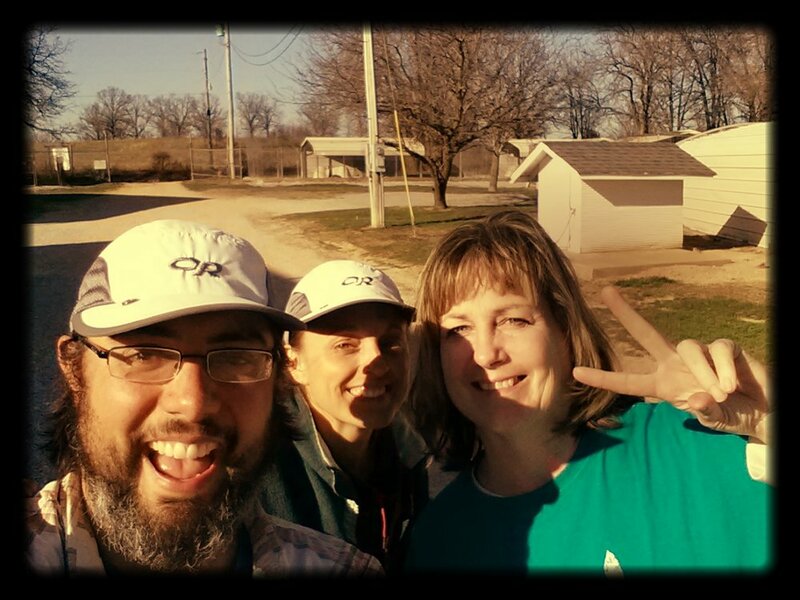 Carolyn apologetically told us that the next day, she wanted to have us tackle something that's been lingering on her to-do list for far too long. 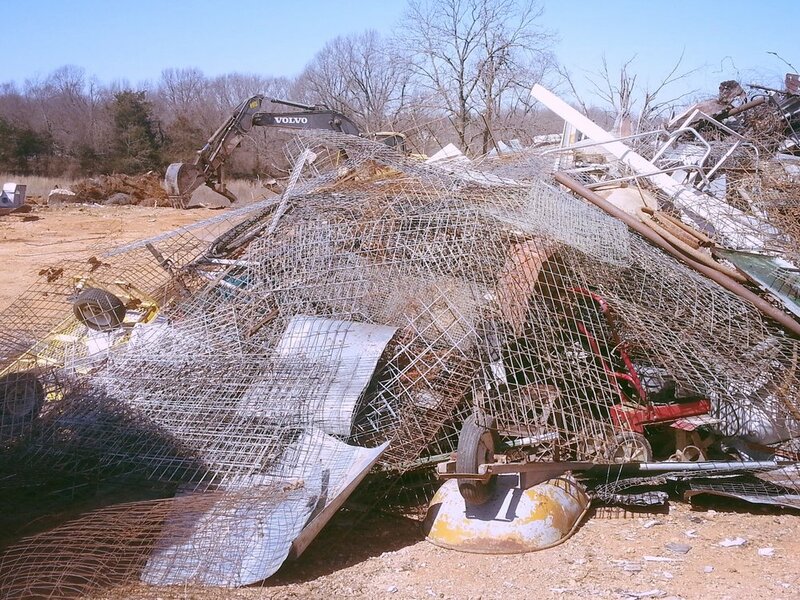 Over the years, Haven of the Ozarks had accumulated a pile of scrap metal that was rusting away in a corner of the property. She was hoping we wouldn't mind helping sort through it and load it to be taken to a scrap-metal recycling center. The task would not only help clean the place up, but also could fetch a few always-needed extra dollars. We were game. We love to clean and organize, so this was a perfect task. Before the sun had crested the horizon the next morning, we were up and tackling the junk pile. No small feat for a couple of people that consider any time before 8 AM early. As we labored in our corner of the property, we could see people coming and going. Local residents dropping off animals they couldn't care for, and others coming to adopt. Volunteers and staff playing with the animals, walking the dogs, feeding, giving treats, loving, and caring for them all. It gave us some perspective of the daily demands of such an important place. It also gave us motivation and perspective on the relative ease of our ephemeral contributions and tasks, not only here, but as we travel the north american landscape. By early afternoon, we had loaded and subsequently unloaded one and a half tons of metal, and gained some extra funds for the sanctuary. The rest of the day was spent helping give the animals treats, toys, and love. 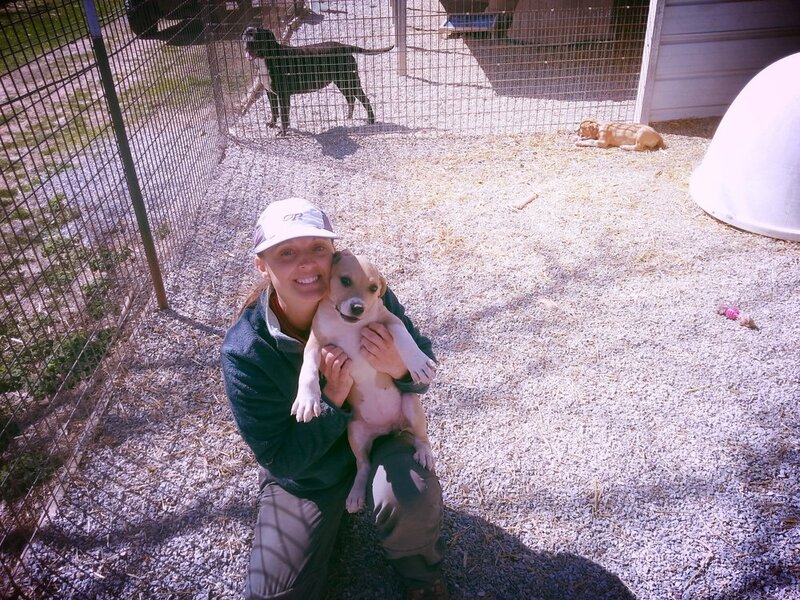 We helped hold a few puppies as they were "chipped" (all animals that come to Haven of the Ozarks are spayed/neutered and micro-chipped for tracking), and helped round up dog toys for cleaning and redistribution. All the while, Tara was pointing out dogs we could adopt, while I pointed out that we are currently living in a van - not the ideal home for a pet. The discussion carried on far longer that it should have. In fact, it's still ongoing. We pulled out late in the afternoon, headed to our next adventure, still without a canine traveling companion, much to Tara's chagrin. Once we were settled in for the night, exhausted but content, I heard Carolyn's voice and words echo in my head as I faded into slumber. “I can lay my head down on my pillow at night and go right to sleep, knowing I did something good."